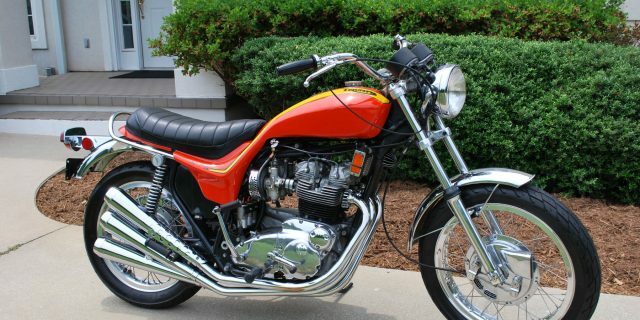 The 1973 Triumph Hurricane is pursued by many collectors of Triumphs. Less than 1200 were produced. The Hurricane is known as the first production custom bike. Its styling was certainly ahead of its time. Craig Vetter was the designer and can be seen at bike events from time to time. 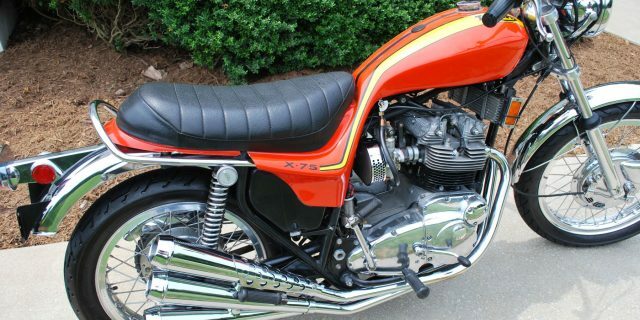 I was lucky enough to talk with Mr. Vetter the day I bought my Hurricane through a mutual friend – Buzz Kanter. Could have talked with him for hours – such an interesting nice guy. 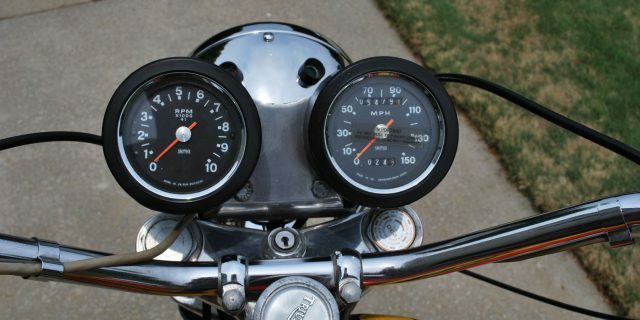 This bike is very original with less than 5500 miles. 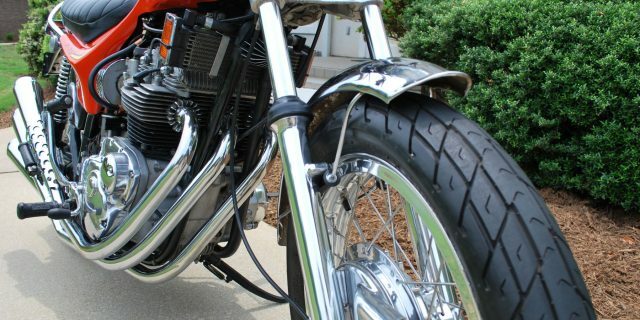 The top end has been rebuilt and stainless spokes added to replace the originals that from what most folks say weren’t strong enough for the bike. We put the GC touch on the bike with some professional buffing by my brother Steve. He can make a “blue” ugly exhaust system come to life with his buffing ability. The original paint on the frame and body are in good shape.